I am writing to inform you of an exciting development for our firm and our global network, RSM International. As you may be aware, our firm has been a member of the RSM network since year 2011. RSM is the seventh largest network of independent, audit, tax and consulting firms in the world with member firms in over 110 countries, with more than 730 offices and employing over 37,500 staff. The global network structure is similar to other international networks, but previously all used different names and brands. This has now changed. As of today, 26 October, all member firms in the RSM network are united under same brand of RSM – we all share the same logo, as above, and the same visual identity. The decision to make this change followed extensive global research of member firm and clients who told us that they wanted to see a more unified RSM network. We believe that this change will strengthen our presence in the market which will in turn create opportunities for our clients and our people. It will allow us to grow our services, in-line with our clients’ needs and provide you access to a global network of like-mined, trusted advisers in other countries where you are/or maybe looking to expand your business. The global capabilities of RSM are vast, with firms providing all the services you would expect and to the same high-quality that you receive from us. Each firm shares the same values as us of: developing relationships based on understanding; having a strong, collaborative approach; and providing our clients with ideas and insight to help them move forward with confidence. From a client service perspective, I will continue to be your point of contact not only in Czech Republic, but also in Slovakia, and you will be served to the same high standards you are used to; all of course under the banner of RSM and with our new look and feel which you can see at our new website www.rsm.cz and www.rsmsk.sk. If you have any questions, please do not hesitate to get in touch. We are looking forward to further cooperation with you. 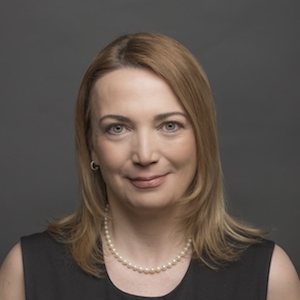 Managing Partner and Chairwoman of the Board RSM CZ a.s.